All revenues received by Government by way of taxation like income-tax, central excise, custom, land revenue (tax revenues) and other receipts flowing to Government in connection with the conduct of Government business like receipts from Railways, Posts, Transport etc. (non-tax revenues) are credited into the Consolidated Fund. Similarly, all loans raised by Government by issue of Public notifications, treasury bills (internal debt) and loans obtained from foreign governments and international monetary institutions (external debt) and all moneys received by Government in repayment of loans and interest thereon are also credited into this Fund. 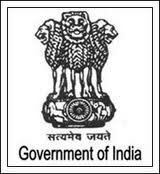 All expenditure incurred by the Government for the conduct of its business including repayment of internal and external debt and release of loans to States/Union Territory Governments for various purposes is debited against this Fund. All Public Money received by Government other than those which are for credit to the Consolidated Fund of India are accounted for under Public Account. The receipts into the Public Account and disbursements out of it are not subject to vote by the Parliament. Receipts under this account mainly flow from the sale of Savings Certificates, contributions into General Provident Fund and Public Provident Fund, Security Deposits and Earnest Money Deposits received by the Government. In respect of such receipts, the Government is acting as a Banker or Trustee and refunds the money after completion of the contract/event. The Public Account also includes various suspense and remittance heads. Small Savings, Provident Funds etc. This fund is kept at the disposal of the President of India to enable the Government to meet unforeseen expenditure pending its authorisation by the Parliament. The money is to be used to provide immediate relief to victims of natural calamities and also to implement any new policy decision taker, by the Government pending its approval by the Parliament. In all such cases, after the Parliament meets, a Bill is presented indicating the total expenditure to be incurred on the scheme/project during the current financial year. After the Parliament votes the bill, the money already spent out of the Contingency Fund is recouped by debiting the expenditure to the concerned functional Major Head etc. in the Consolidated Fund of India.